Shah Rukh Khan shares the same first two initials as my other favourite – SRT. And just as a few low scoring innings could not make a dent in Sachin Ramesh Tendulkar’s stature (he will always be regarded as the God of Indian cricket, carping critics shush), one Dilwale does not a Shah Rukh Khan unmake. I went to see Dilwale with a lot of expectations – after all, I was getting to see Kajol and Shah Rukh together (a romantic tune immediately begins to hum in the background, or my mind) so what if it was a Rohit Shetty film.… But, I exited saying, yeh dil nahi maange more. 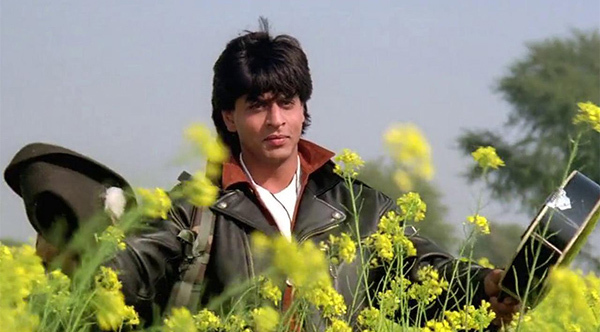 And despite Dilwale not warming my heart, I am looking forward to Fan…. To countless fans (I am top on the list), these are just ten of the reasons (and not in order of importance) why SRK is still loved. 1. Swoon In Arms: Having seen it once on screen – and then again and again as he romances his heroines – who can ever forget his signature outstretched-arms pose? When he stretches out his arms, smiles and lets the dimples appear…sigh. 2. 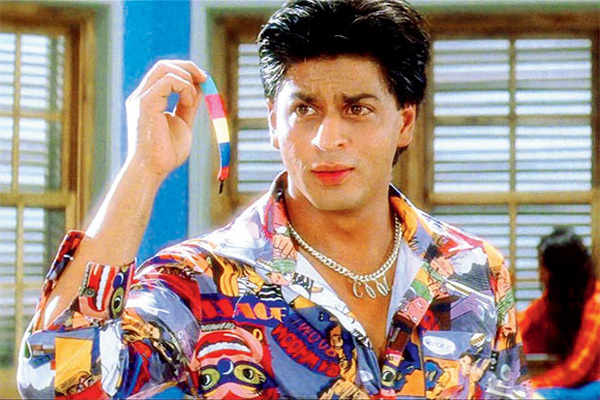 ‘Rahul…Juice?’: He made ‘Raj’ and ‘Rahul’ immortal. Like, ‘Naam To Sunah Hoga…?’ He is, with due apologies to Dev Anand, the romantic of the silver screen. 4. Great Beginnings: He rocked the small screen and how! (I am not referring to his anchoring shows like Kaun Banega Crorepati 3 or Kya Aap Paanchvi Pass Se Tez Hain?) I would go back time and again to see episodes of his early appearance in Fauji and Circus – where his act was raw, unrefined, yet arresting…just like his hair. 5. 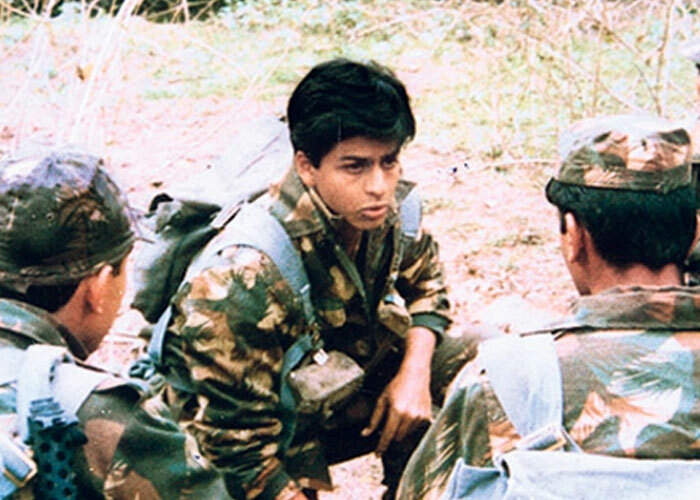 Dare To Bare: Even before he attained superstar status, SRK has dared to be different on screen. In Baazigar where he just chucked Shilpa Shetty off the terrace…or Darr, where his ‘K-k-k-kiran’ terrorised Juhi Chawla and our dreams. And Anjaam was just a delicious bloodbath. But then he bared his (body &) soul in Om Shanti Om and we let out a sigh of relief. 6. 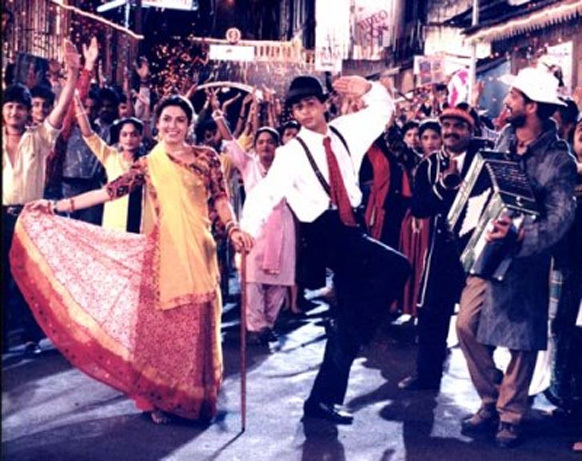 Great Gabber: Whether at award functions, events or live performances, SRK is to the spotlight born. And in a one-on-one interaction he holds your attention with his knowledge and understanding of a spectrum of subjects. His wit and repartee are to be heard to be believed. He laughs at others, ridicules them, but endearingly cracks a joke at his own expense too! 7. He Is What He Is: He hails from a background that fans can identify with. A Delhi lad who moved to Mumbai to realise his dreams – it’s what celluloid stories are made of. We are not complaining! 8. Maverick Marketeer: The ‘big basketeer’ can sell anything with conviction. So, whether he is painting walls to get the right effect or guzzling coolers, SRK grabs eyeballs and can get sales soaring. He’s the golden boy of mass brands. 9. Mr. Powerhouse: He is 50, a smoker, a man who has suffered health problems…and yet he shows no signs of slowing down. One wonders what inner drive powers the inveterate workaholic – who is also a self-confessed insomniac. He will go the extra mile for his roles – the six-pack he developed for Om Shanti Om (*swoon*) took time and effort (and no make-up…cynics, beware). 10. Family 101: He has often spoken with deep feelings about his parents – who passed away before he could become a phenomenon. And he is protective about his wife Gauri, sister Shahnaz Lala Rukh,…and of course, his kids, Aryan, Suhana and Abram. 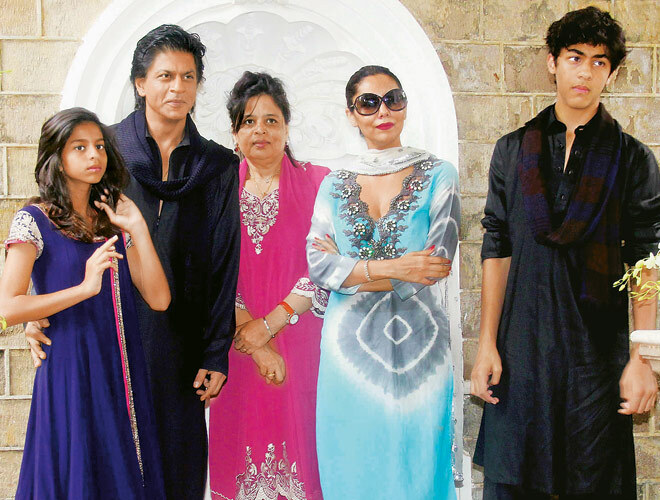 And his home is truly secular – the avowedly patriotic Khan lives the feelings he feels. Lucky are the ones who get to share his mind and heart.